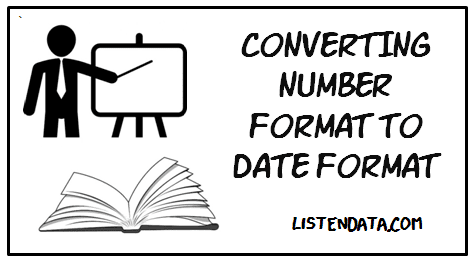 This tutorial focuses on converting a number format variable to a date format variable. The following program is used to create a sample data. PUT Function is used to convert the numeric variable to character format. FORMAT Function is used to display the SAS date values in a particular SAS date format. If we would not use format function, SAS would display the date in SAS datevalues format. For example, 20588 is a sas datevalue and it is equivalent to '14MAY2016'. 2 Responses to "SAS : Converting Number Format to Date Format"
one question, why i cant change the format yymmdd8. by the format date9. in the input function? what type of formats i can take or select? the put(date,8.) variable have not a format date, why i can not take other format date?